Join us Wednesdays through April 17th from 7-8:30PM as we conclude our special Lenten study. The season of Lent is a season for searching the soul. As we study Matthew 26-28, we will search our souls through the lenses of the people closest to Jesus in his last hours. The last three chapters of Matthew are a juxtaposition of stories. While the theme of rejection runs through these chapters in Matthew, there is good news: joy of the resurrection that we can experience with new eyes. We will also spend time in prayer, interceding for the church, community and globe. Join us on Monday, April 1st, at 10AM for our area prayer walk (weather permitting). We would be blessed by your accompanying us throughout the neighborhood, praying for the streets, people and businesses we come across. It is also an excellent opportunity to exercise your body and your spirit. “And pray in the Spirit on all occasions with all kinds of prayers and requests. With this in mind, be alert and always keep on praying for all the Lord’s people (Eph. 6:18).” Join Pastor Mike and others in the church family as the weekly prayer meeting resumes on Wednesday, April 24th. From 7 to 7:45PM we pray for the needs of the church and her neighbors and from 7:45 to 8:30PM we take a “second look” at Sunday’s message and its impact on our lives. 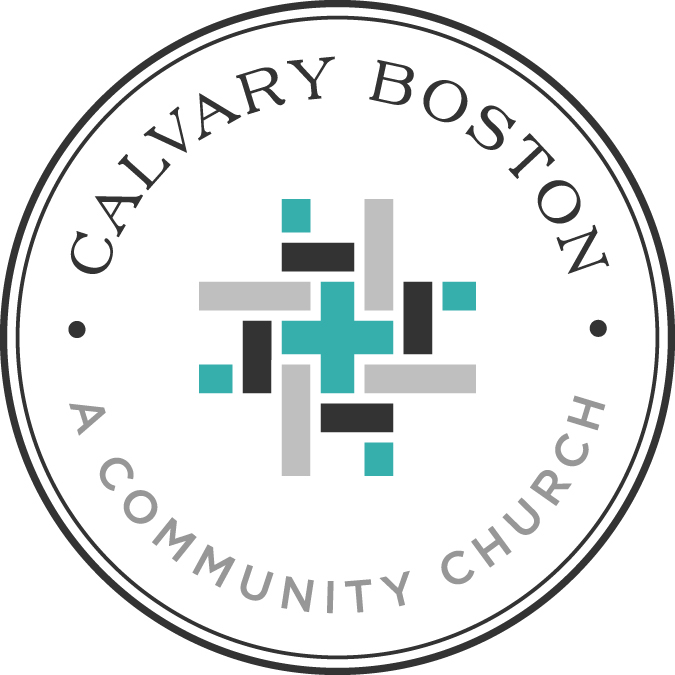 If you have a need you would like lifted by God’s people, fill out a prayer card and place it in the box in the church foyer any Sunday morning, call the church offices at (617) 825-7832 or e-mail the pastor at calbapt@msn.com. Please plan on remaining after the worship service on Sunday, April 14th, to share in this month’s coffee hour. We would be blessed to share with you a bit of pleasant conversation and some light refreshments. • Children (ages 3-13): Heart-Shaper classes, which meet in the "Red Carpet Room" on the church's lower level, will help kids go beyond right and wrong answers, engaging them in meaningful discussion and encouraging them in their commitment to Christ. Kids will dig into the Bible to discover what it says and what it means for their lives. This spring they will learn about and discuss Prayer, Basic Christian Beliefs, Celebrate Jesus, Accepting God's Gift, and Where is God When it Hurts? • Teens (ages 14-18): Bible-in-Life lessons, which meet in the Conference Room, will allow students to focus on these four areas: connecting with each other and with God's Word; studying God's Word together and finding key themes and takeaways; exploring key themes and takeaways through activities and crafts; and responding to God's Word by applying it to life. This spring the monthly themes are: Jesus is Our Friend and Savior, Living a Godly Life, and Getting Along. • Adults (ages 19+): Bible-in-Life lessons, which meets in the Parlor, will provide assistance in transforming hearts and minds with the dynamic, never-changing truth of God’s Word. This quarter’s study will include the following topics: Call to Discipleship, Call to Ministry, and Call to Life in Christ. This year's theme -- BOOT CAMP -- will reinforce our understanding of the 'armor of God' at monthly meetings. Disciple's Path: The Journey provides an intentional two-year mission toward maturity in Christ. It's a purposeful process covering four volumes, 13 sessions each. The Journey was created to nurture believers into disciples who make disciples. All the men of the church are invited to be part of this study every other Tuesday night from 7 to 8:30 PM. This month we will meet on April 23rd. The Lord is my shepherd; I shall not want. Many women know Psalm 23 by heart but haven’t experienced its power in their lives. This beloved psalm can breathe new life into women who are weary and unsure of their next steps. It’s more than a psalm that comforts in death; it gives confidence in life. In this 7-session study by Jennifer Rothschild, gain fresh insight and encouragement from Psalm 23. Explore the depths of God’s compassionate care while debunking the self-reliance myth. Learn how your vulnerability is not a liability because you can trust the Shepherd’s goodness throughout each season of life. This Bible Study will meet every Thursday morning at 10. Childcare for those under 5 is available. Attention Men! We will be attending the Iron Sharpens Iron Men's Conference on Saturday, May 18th in Worcester, MA as a group. Please sign-up and join us! This one-day conference (8:30am to 4:55pm) is for men of all ages; beginning with men ages 13 and older. Cost is $53 plus $8 if you want the on-site optional lunch. There will be sixteen different seminars for men at this conference so we know there will be something for every one of us. Main Session Speakers include Arnie Cole from “Back to the Bible”, Ken Harrison from “Promise Keepers” and Author/Pastor Gene Getz. Pick up a conference brochure and sign up for the conference after any worship service. All those who have submitted their lives to Christ are encouraged to be baptized and become a member of the church. If you are interested in pursuing either of these options, please speak to Pastor Mike about making the next commitment.